주식회사 바이넥스 홈에 오신 것을 환영합니다. 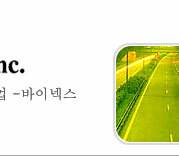 바이넥스는 20여년간 GLASS BEADS를 전문생산 하여 왔으며 도로표지용 도료를 비롯하여 도로표지 열부착쉬트, 산업용 및 공업용 유리알과 특허기술을 토대로 인조대리석 및 싱크볼 등, 종합건축자재를 생산하고 있습니다. 또한 그동안 축적된 기술과 노하우를 기반으로 신소재 복합기술을 이용한 20여건의 발명특허와 실용신안 및 의장을 확보하고 지속적인 연구개발과 투자로 제품의 고품질과 경쟁력을 향상시키고 K.S인증 및 벤처기업을 지정받으므로서 기업의 가치를 높였으며 아울러 I.S.O 9002 품질보증체제를 구축하여 국내는 물론 해외에서도 성가를 인정받고 있습니다. 앞으로도 바이넥스는 환경과 인간에게 보다 유익하고 친숙한 제품을 보급하여 세상을 밝고 아름답게 한다는 정신으로 봉사하는 마음, 감사하는 마음으로 고객에게 보답 하겠습니다. 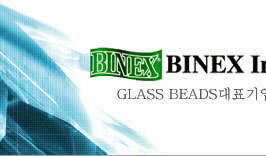 Binex,Inc has been devoted to glass beads manufacturing over 20 years. 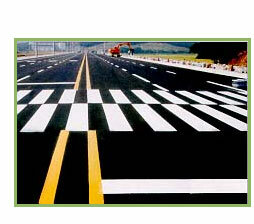 We are specialized in road marking consumables including road marking paints, thermoplastic pavement marking sheet, and industrial glass beads. 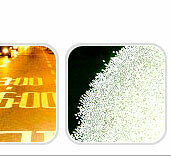 Continuous research advancement and accumulated know-how enable us to expand our production line to marble and sink-bowl. Thanks to the achievement of R&D in enhancing quality, we are certified by K.S(korea standard), venture company approval, and I.S.O. 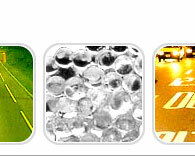 9002 as well as 20 patents, utility model approval, and registration of design. Binex, Inc. will continue to improve quality and competitiveness of products with human and environment-friendly minds for years to come.